Penn Dental Medicine Is Celebrating a Dramatic Clinic Renovation! Check out the features of our new offices after an extended clinic renovation! Have you visited Penn Dental Medicine’s main clinic recently? If not, you’re in for a big surprise! This year, we’re celebrating the state-of-the-art clinic renovation of Penn Dental Medicine’s main dental clinic, now renamed the Robert I. Schattner Clinic for the Penn alumnus who made this project possible. Penn Dental Medicine clinic is the largest center for restorative dental treatment and clinical instruction in the Philadelphia area. With over 35 specialties under one roof, we provide comprehensive and coordinated dental care. 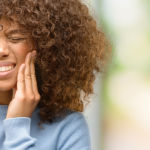 Patients come from all over the Philadelphia area to receive affordable dental services at the University of Pennsylvania School of Dental Medicine’s clinic. Supervised by leaders in the field, our dental students are completing their final stages of training when they administer dental services. The new Schattner Clinic represents the culmination of a two-year project to renovate the university’s historic Evans Building. With over 10,000 square feet of space, the clinic architecture beautifully incorporates natural light with dramatic two-story windows. The style imitates the building’s original 1915 windows, which line the north side of the clinic. Windows on the east and south sides of the building have also been restored. The result is a comfortable, uplifting environment for both patients and dental providers. The clinic interior features 74 dental operatories, which are the units where dental cleanings and treatment are delivered. 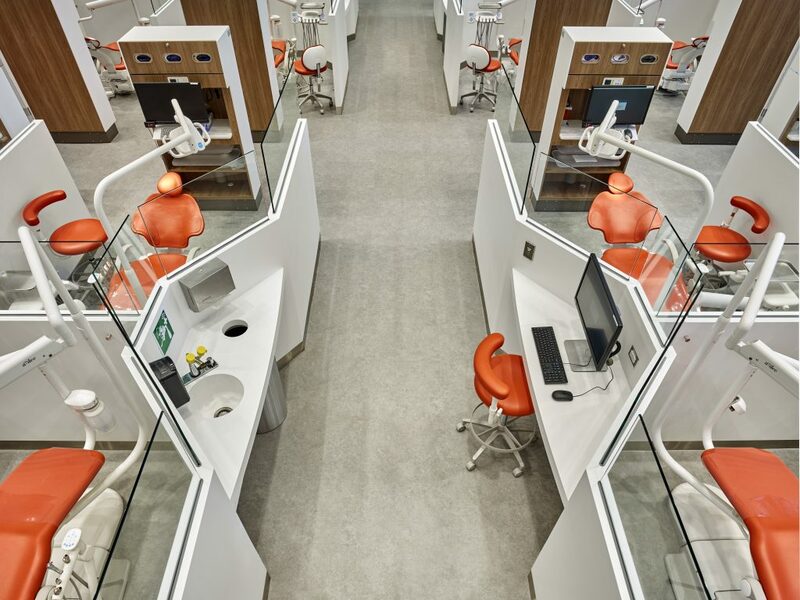 The large number of operatories expand Penn Dental Medicine’s capacity to attend to more patients and to respond to the demand for low-cost, high-quality dentistry in the Philadelphia area. 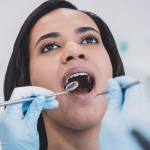 Each operatory is outfitted with all the necessary equipment to perform dental services, as well as a chairside monitor to access the patient’s digital dental record. The site includes on-site sterilization capabilities for the clinic’s electric handpieces, as well as a laboratory for computer-aided design and manufacturing of dental restorations (custom-made crowns, implants, etc) and orthodontic treatment. All these capabilities make for a streamlined system in which patients enjoy coordinated care and state-of-the-art technology. Producing restorative pieces in-house lowers costs for patients and improves the affordability of care. Having a fully-equipped dental laboratory also means a shorter wait time for patients, since we don’t have to outsource the design and manufacturing of these pieces elsewhere. As a hub of care since the Evans Building opened in 1915, the new space provides a historic location for Penn’s dental school clinic. Since our opening in January 2018, the new clinical care resources and state-of-the-art environment continue to make a positive impact on patient care and clinical instruction. We completed the last part of the clinic renovation in June 2018: a two-story addition called the Pavilion. The Pavilion extends past the Center’s atrium to present a dynamic area on two levels, which includes a comfortable new waiting area for patients. 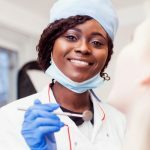 The vision of Penn Dental Medicine is to educate the next generation of dentists to provide the best quality of dental care while offering services at affordable rates. Penn Dental Medicine students and faculty administer dentistry services across a range of specialties within our integrated system. 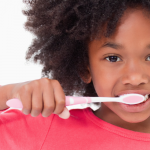 PDM is a major provider of dental care to the Philadelphia community. In 2017 alone, we served 87,600 patients at our teaching clinics! If you’d like to learn more about how you can receive affordable care at our beautiful new location, please call 215-898-8965 for an appointment.